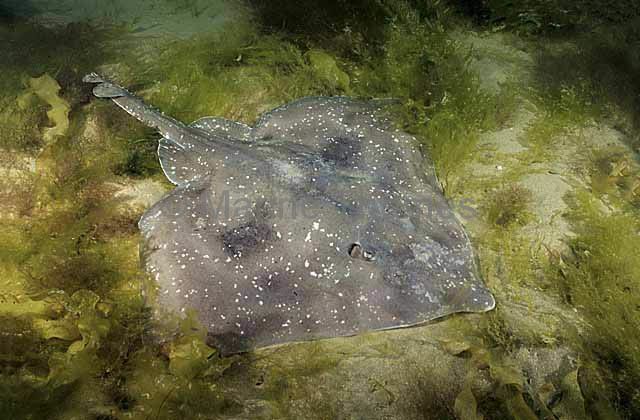 Whitley's Skate (Raja whitleyi) Largest Australian skate growing to 50kg and 1.7 meters long. 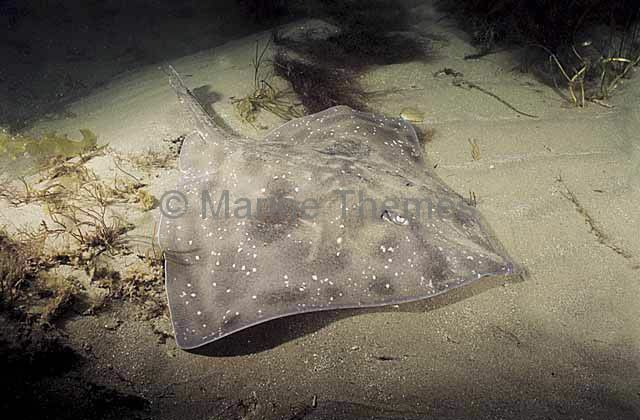 Whitley's Skate (Raja whitleyi) Tail detail. 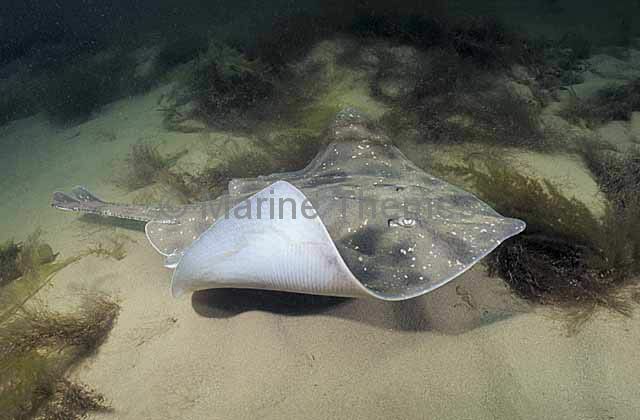 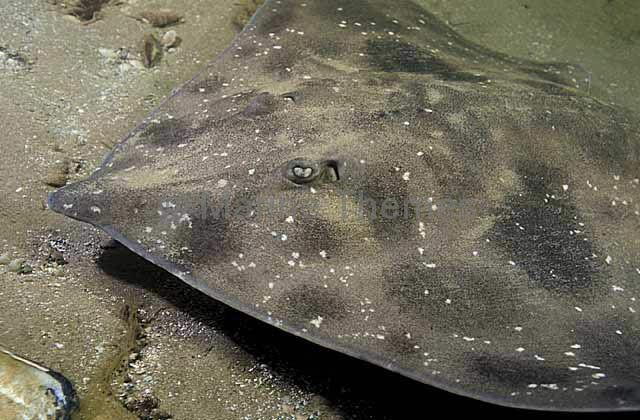 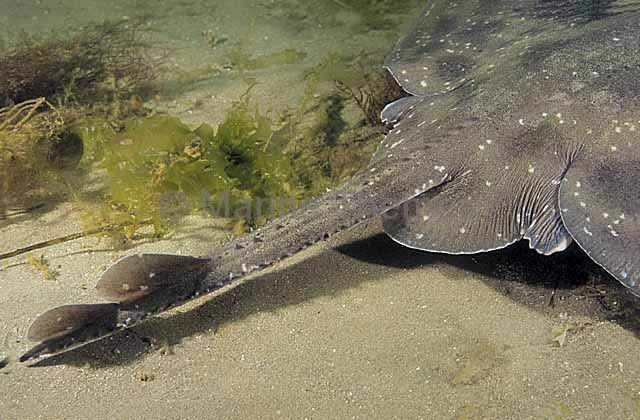 Largest Australian skate growing to 50kg and 1.7 meters long. 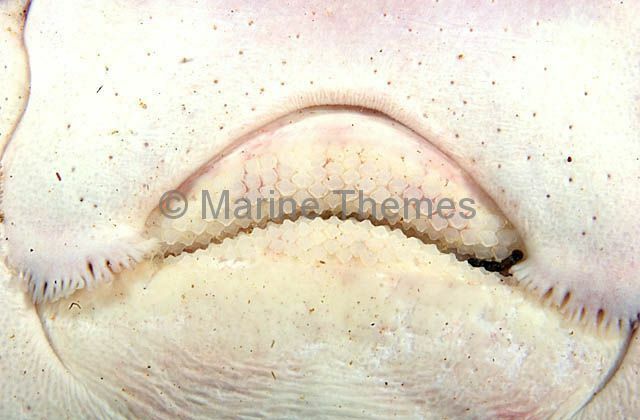 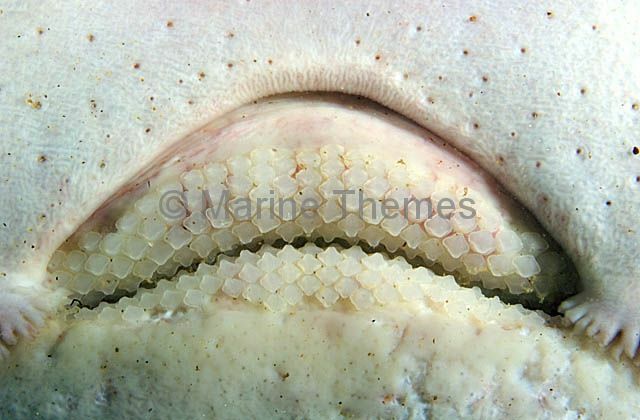 Whitley's Skate (Raja whitleyi) Mouth and tooth detail with electrical sensor pits on underside of snout.